So you've got that Cafe Racer, Streetfighter or other custom motorcycle project in the garage and your trying to decide on a set of handlebars. Well look no further then the LSL Carbon Fiber X-Bar Handlebars. Over the years we have seen a few manufacturers attempt the Carbon Fiber handlebar but no one has done it as good as LSL. 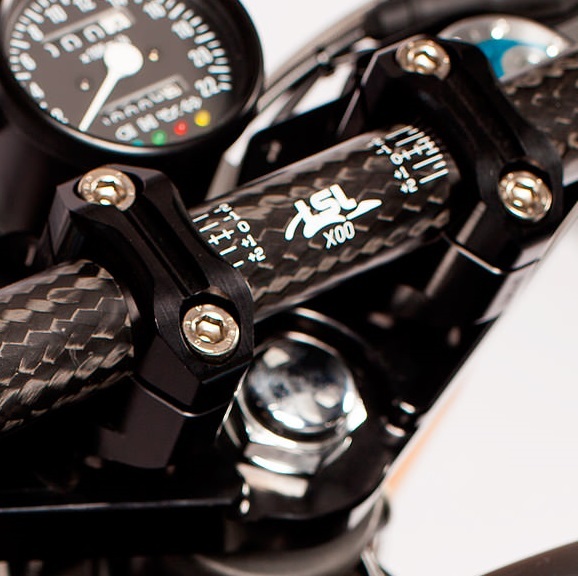 With true Germany quality, these LSL Carbon Fiber handlebars are a true work of beauty. The LSL handlebars are an aluminum core wrapped with the highest quality carbon fiber that creates a beautiful handlebar.